As an Italian National, Chiara’s warmth, colourful energy and compassionate generosity infuse her approach to therapeutic work. Chiara has a long-standing interest in working with children, young people and their families. Before moving to the UK (1998), she worked in the community in Italy in a voluntary capacity, organising playgroups, summer play schemes, summer camps and youth group leading for over fifteen years. Whilst contributing to the community through voluntary work with children and families, she also worked as a fully trained accountant in private organisations in Italy for eight years. Her work in the voluntary sector provided the impetus to change careers and Chiara decided to embark on retraining as a Systemic Family Therapist upon her arrival in the UK. Since the completion of her professional training, Chiara has over 15 years’ experience working as a Systemic and Family Psychotherapist in various service settings, which included working with looked after and adopted children. She has worked in statutory agencies for over ten years developing dual expertise in social care and systemic psychotherapy using and promoting a systemic approach to working with children and families at high risk who have experienced various forms of abuse, including domestic violence, trauma and severe disruptions to their early family attachments. She has worked in a Specialist Family Services team undertaking complex parenting assessments, sexual risk assessments, ability to protect assessments and specialist therapeutic interventions for Court and Child Protection purposes. This involved working with high-risk families with a range of complex difficulties including severe mental health problems, substance misuse as well as sexual and domestic violence. Chiara also has expertise in providing post-adoption therapeutic support to traumatised children and their adoptive families. During the last five years, in particular, she has worked with Parents and Children Together (PACT) developing tailored packages of therapeutic support to children and families including systemic life story work, family bereavement, therapeutic parenting, working with complex family attachment systems as well as with families who have experienced significant trauma. Her role at PACT also involved developing parenting programmes to address child to parent violence utilizing Non-Violent Resistance Therapy (NVR). Additionally, Chiara has been commissioned by East and West Sussex Local Authorities to provide specialist systemic family interventions with looked after children, providing contact with birth families and support for foster carers’, to meet the complex emotional and behavioural needs of children in order to prevent placement breakdown. Chiara has considerable experience in teaching and training systemic theories and skills. She is a visiting lecturer for the Institute of Psychiatry, Kings College, London and for the Tavistock and NHS Portman, London. She has also taught on the foundation level of systemic practice for social care agencies based in London and currently provides systemic training, agency consultation and professional supervision. 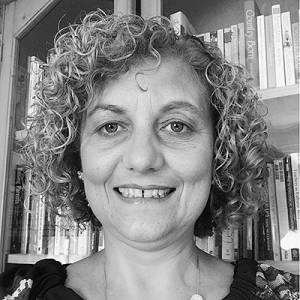 Chiara is a fully registered Systemic and Family Psychotherapist and Systemic Supervisor and Trainer with the Association of Family Therapy (AFT).